Note in the attachment, the entry for "sbin" is only partially visible. Wouldn't it be easier to include the patch for a GTK fileselector? 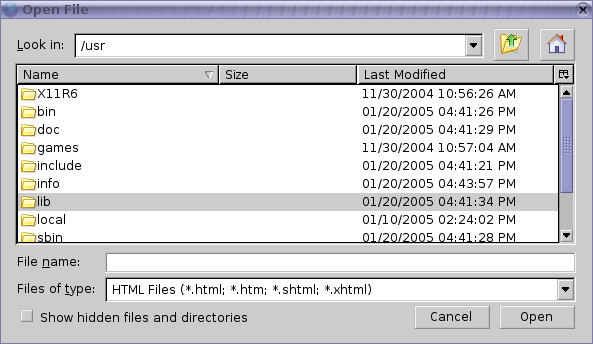 > Wouldn't it be easier to include the patch for a GTK fileselector? Yes, those patches are awaiting review. Should mention that that upload included the gtk filechooser patches.